Nsutite: Mineral information, data and localities. Named for the Nsuta mine, Ghana, the type locality. It is pronounced en-soo'-tite. 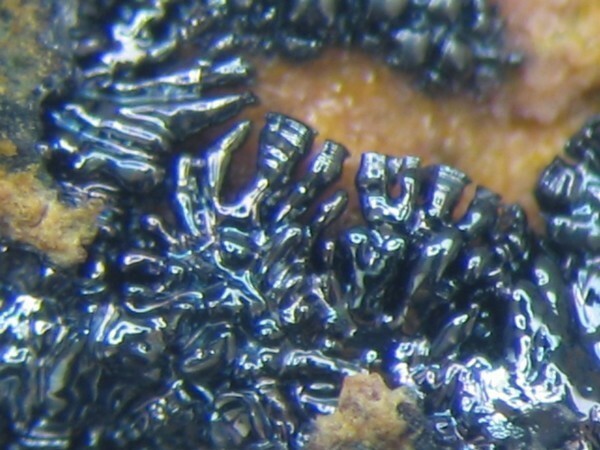 This page provides mineralogical data about Nsutite. Zwicker, W.K., Groeneveld Meijer, W.O.J., Jaffe, H.W. (1962) Nsutite - a widespread manganese oxide mineral. American Mineralogist: 47: 246-266. Strengite 19 photos of Nsutite associated with Strengite on mindat.org. Goethite 8 photos of Nsutite associated with Goethite on mindat.org. Torbernite 7 photos of Nsutite associated with Torbernite on mindat.org. Cacoxenite 6 photos of Nsutite associated with Cacoxenite on mindat.org. Beraunite 5 photos of Nsutite associated with Beraunite on mindat.org. Phosphosiderite 4 photos of Nsutite associated with Phosphosiderite on mindat.org. Quartz 3 photos of Nsutite associated with Quartz on mindat.org. Paulkerrite 2 photos of Nsutite associated with Paulkerrite on mindat.org. Cryptomelane 2 photos of Nsutite associated with Cryptomelane on mindat.org. Akhtenskite 2 photos of Nsutite associated with Akhtenskite on mindat.org. Neues Jahrbuch für Mineralogie, Monatshefte (1974): 373-384. Zwicker, W.K. 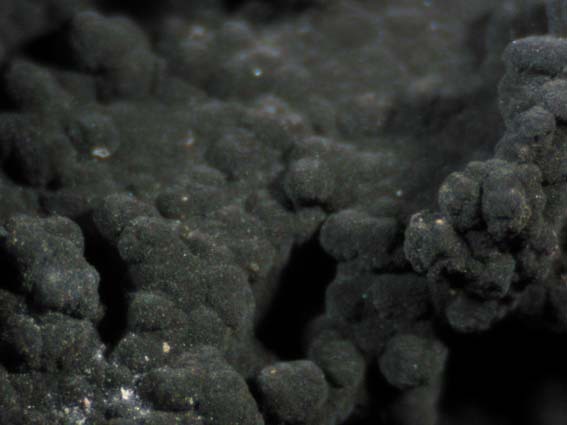 et al (1962) Nsutite - a widespread manganese oxide mineral. American Mineralogist, 47, 246-266. Jones, S., McNaughton, N.J., Grguric, B. (2013) Structural controls and timing of fault-hosted manganese at Woodie Woodie, East Pilbara, Western Australia. Ore Geology Reviews, 50, 52-82. Sattran, V. & Wenmenga, U. (2002): Géologie du Burkina Faso - Geology of Burkina Faso. Czech Geological Survey, 136 pp. ; Hénocque, O., Ruffet, G., Colin, F., & Féraud, G. (1998). < sup> 40 Ar/< sup> 39 Ar dating of West African lateritic cryptomelanes. Geochimica et Cosmochimica Acta, 62(16), 2739-2756.
ⓘ Vilatte-Haute Quarry (Alluaud Quarry) ? Bull. Soc. Franç. Minéralo. Cristallo. , 1974, 97, pp. 475-478. Sorem, R. K. Cameron, E. N (1960), Manganese oxides and associated minerals of the Nsuta manganese deposits, Ghana, West Africa. Economic Geology,55, 278-310. Barresi, A. & Ambrino, P. (2002): Segnalazione di nsutite nei giacimenti di manganese della Val Graveglia. Notiziario di Mineralogia del Ferrania Club, 16, 5-6. Zwicker, W.K., Groeneveld-Meijer, W.O.J., Jaffe, H.W. 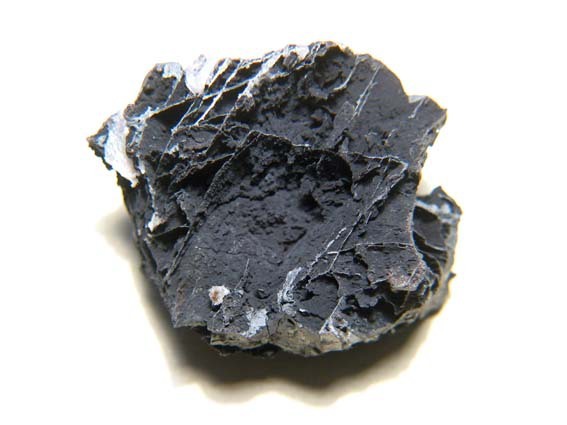 (1962) Nsutite - a widespread manganese oxide mineral. American Mineralogist, 47 (3&4), 246-266. Neumann, H. (1985): Norges Mineraler. Norges Geologiske Undersøkelse Skrifter 68, p. 74. Brusnitsyn A.I. (2000) Rhodonite deposits of Middle Ural, - S.-Peterburg Univercity press, p. 200 (in Rus.). Cairncross, B. and Dixon, R., (1995) Minerals of South Africa. The Geological Society of South Africa: pp 227. Bernard, J. & Hyrsl, J. (2004) Minerals and their Localities. Anthony, J.W., et al (1995), Mineralogy of Arizona, 3rd.ed. : 315; Koutz, F. (1984), The Hardshell silver, base-metal, Mn-oxide deposit, in Wilkins, J. (editor), AZ Geol. Soc. Digest: 15: 199. Anthony, J.W., et al (1995), Mineralogy of Arizona, 3rd.ed. : 240, 315. Huebner, J. Stephen; Flohr, Marta J. (1990) Microbanded manganese formations; protoliths in the Franciscan Complex, California; USGS Professional Paper 1502. Anderson, 1991. Maine Mineral Localities, 2nd ed.